Brenda Hiatt is the NY Times and USA Today bestselling author of twenty novels (so far), including sweet and spicy historical romance, time travel romance, humorous mystery and young adult science fiction. Learn more about Brenda and her books at her website. Nearly a decade ago, after publishing more than a dozen historical romances with big New York publishers, I hit a wall. Several too-tight deadlines back to back had taken the fun out of writing, instead making it a source of stress. For a while, I stopped writing entirely. 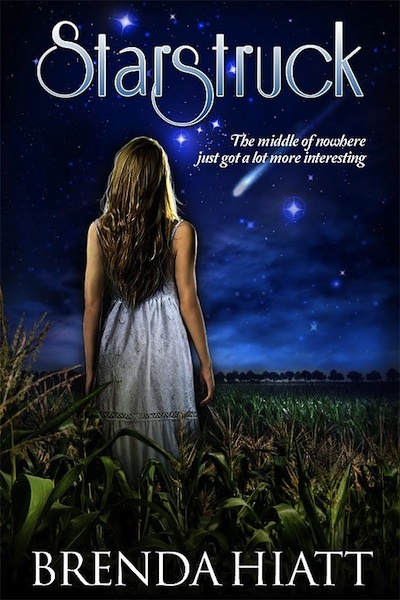 Finally, hoping to rejuvenate my joy in writing, I decided to try something totally different from my historicals--a teen science fiction romance. The idea had been nagging at me for years, ever since remembering how, back in third or fourth grade, a girl in my class claimed she was really a Martian princess. In fact, she was ADAMANT about it. No matter how we made fun of her (as kids will) and tried all kinds of things to convince or trick her into admitting she was making it up, she stuck to her story—probably for at least a month, though looking back it seemed much longer. Decades later something brought that girl to mind and my writer-brain suddenly whispered, “What if she was telling the truth? What if she really WAS a Martian princess?” That “what if?” eventually became Starstruck. It took me over a year to write that book. This was my first foray into the young adult genre and I was absolutely determined to get it “right.” Then, when it was finally finished, I realized it had all the makings of a series. Which was fine because I absolutely LOVED writing again! Getting into my heroine’s head turned out to be surprisingly easy—I just had to channel my own inner fifteen-year-old. Through her, I got to live out all kinds of teen fantasies—having the hot new quarterback fall for me, making the cool, popular girls jealous, and being in on a huge, cool secret that nobody else at school knows. I’ve always enjoyed stories with fantastical hidden worlds that coexist with our own (Buffy the Vampire Slayer, Harry Potter, Twilight) so it was a blast creating my own secret world with its own rules, quirks and people. 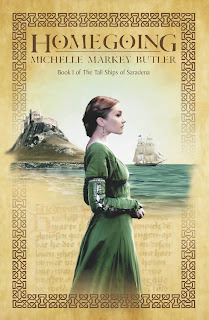 Though I wrapped up Starstruck’s original story arc in four books (all now available) I’m definitely planning more books in that universe as soon as I finish writing my first historical romance in nearly ten years…which I’m also enjoying again! 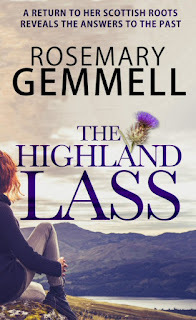 Author Rosemary Gemmell lives in a village on the west coast of Scotland, twenty minutes from Loch Lomond and thirty minutes from the centre of Glasgow. She joins us today to talk about how her Scottish surroundings inspire her writing. 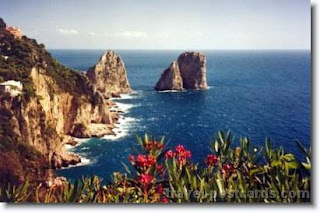 Learn more about Rosemary and her books at her website and blog. The setting in any novel is often one of the most important aspects of the story for the author and the reader. This has never been truer than it is for The Highland Lass, my new Scottish novel, as it is mainly set around my own area in the west coast of Scotland and across the River Clyde to Argyllshire. An unlikely early inspiration was the large Greenock cemetery where ancient and elaborate graves stones, winding paths, and overhanging trees provided much scope for imagination. This was where my mother first introduced me to the gravestone of Highland Mary, who was a brief but important love interest of Robert Burns, our national poet. 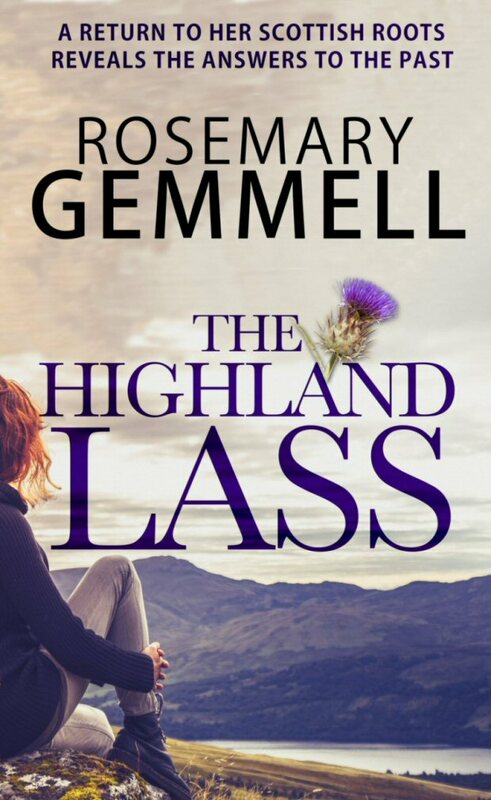 This early memory and a fascination for Mary Campbell was the inspiration for the short historical chapters of The Highland Lass. Inverclyde has an envious position right beside the River Clyde, and across from Gourock sits the small seaside town of Dunoon in Argyll. From my side of the river, we can see the entrance to the Holy Loch, bordered by the towering Argyll hills, where the American Navy was based from the 1960s until the early 80s. This provided another thread in the story, as Eilidh is seeking the identity of her father, who may have been an American officer. Dunoon is also where Highland Mary was born and her statue forever looks across the Clyde. Another inspiration is our famous Loch Lomond, one of the largest freshwater lochs (or lakes) in Britain. 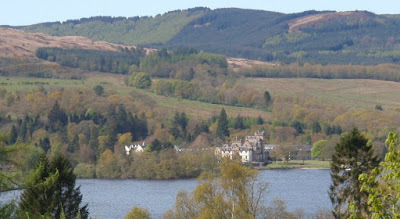 It is now part of the Loch Lomond and Trossachs National Park and its huge surface area crosses the Highland Boundary Fault, which separates the highlands from the lowlands. One of my favourite places is the fairy-tale village of Luss where the modern hero, Lewis, takes Eilidh one day. The tiny cottages with their abundance of flowers in summer months line both sides of the narrow main street, which wanders right down to the edges of the loch. You may have heard the chorus of the famous song, The Bonnie Banks of Loch Lomond, the lyrics of which were evidently written in the 18th century when one highlander was set free in the north of England after supporting the defeated Bonnie Prince Charlie and one was condemned to die. The other main setting for The Highland Lass, in the present and past, is Ayrshire, known as Burns country. Mary and Robert Burns met and plighted their troth there in the 18th century and the small villages have hardly changed at all. The inn where Burns and his cronies met, Poosie Nancie’s, is still in the same street in Mauchline. Ayrshire is also where the blossoming relationship between modern heroine, Eilidh Campbell, and handsome Scot, Lewis Grant, takes another step forward. But it is around Inverclyde where all the story threads come together and where Eilidh finds the answers to the past. One of the best-known views where Greenock meanders into Gourock is from the Lyle Hill overlooking Cardwell Bay and the Argyll hills beyond. Along by this stretch of the Bay was the perfect setting for Eilidh’s return to Scotland. Many of the large cruise ships now visit the port at Greenock but you can still watch out for the oldest sea-going passenger-carrying paddle steamer in the world, The Waverley, which sails down the Clyde during the summer months and maintains our links to the steamers of the past. Eilidh Campbell returns to her Scottish roots from America with one burning ambition: to discover the identity of her real father. 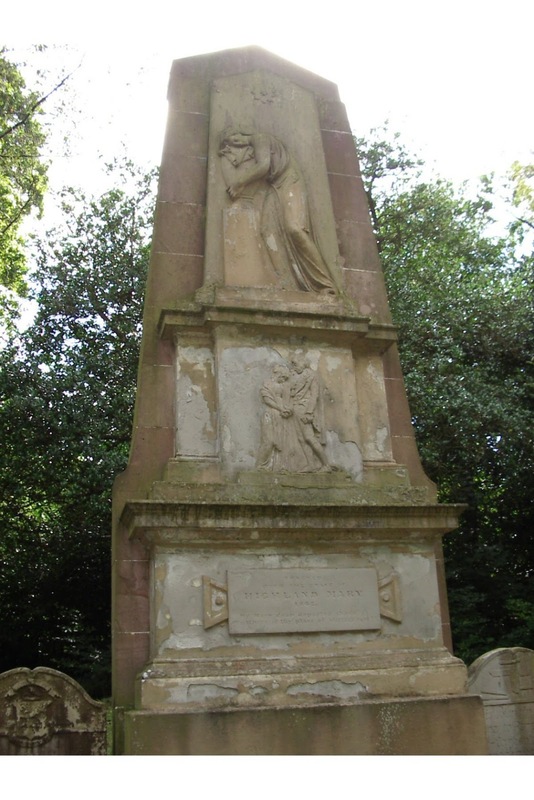 But her mother's past in Inverclyde is a mystery with family secrets, a book of Robert Burns' poems with a hidden letter and a photograph link to the Holy Loch at Dunoon when the American Navy were in residence. Staying with her childhood friend, Kirsty, while searching for answers, Eilidh begins to fall in love with handsome Scot Lewis Grant, but just how divorced is he? Together they trace the story of Highland Mary and Robert Burns, with its echoes to her mother's story. From Dunoon, to Ayrshire and culminating in Greenock, Eilidh finds the past is closer than she realises. Here we are in the middle of summer. 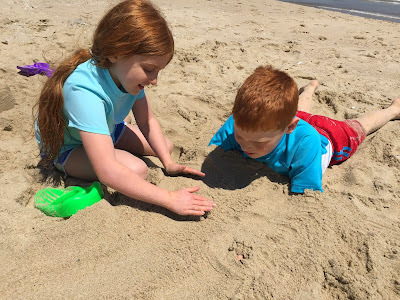 Have you made your summer vacation plans yet? A recent study found that sixty percent of those surveyed said they overspent when on vacation. Hey, it’s easy. All those souvenirs and evening outings for ice cream add up, especially if you have several kids in tow. Vacations are like Christmas—lots of fun while they’re occurring but a huge downer the next month when the credit card statement arrives. 1. Use your computer to plan your vacation. There are a myriad of websites that offer deals on airfare and hotel stays. Take advantage of them to book your trip. Then, once you have your destination set, check out sites like Groupon, LivingSocial, and Amazon Local for restaurant and entertainment deals in the area during your stay. 2. Keep a record of your spending. Either jot down expenditures in a small notepad or on your phone. It makes you aware of your spending, so there are no surprises at the end of the vacation. Or go high-tech—most banks now offer a service where you can keep track of your credit card spending. My bank offers a service where I receive an email every time I make a credit card purchase. This not only keeps me apprised of my spending, but it also alerts me to any unauthorized use of my credit card. 3. And speaking of credit cards, use them when traveling. They offer protections against fraud that debit cards don’t. Banks love debit cards because they get their money immediately, but debit cards can be really damaging to consumers. Every time my bank wants to issue me one, I decline. My ATM card is solely an ATM card, not a combined ATM/debit card. 4. Finally, make a budget and stick to it! You’ll enjoy your vacation far more if you don’t regret it once the bills start arriving. This rose design is 1-1/2" wide x 1-1/8" high when stitched on 14-ct. cross stitch fabric. Kay Kendall writes mystery/female amateur sleuth novels and books set in the 1960’s. Learn more about her and her books at her Austin Starr and Kay Kendall websites. Fourteen years ago I recognized I had stories I was burning to tell, set in a fictional context. Twelve years was “all” it took. I’ve since learned that is about average, so I don’t feel too bad about that. I wrote one book that was not a mystery, couldn’t sell it, and then moved on to writing mysteries. That suits me since I always want to get to the bottom of why things happen and who did what to whom. I love mysteries—both reading and writing them. My publisher, Stairway Press in Seattle, is small but gives me great support—wonderful editing and cover art. I write in the third bedroom in our house. It’s become so full of books and papers that it’s like a cave I crawl in and out of. Therefore it’s dubbed “the writer’s lair.” Next week I promised my husband I’d pause and take the time to clean it up. He says it’s like walking into a minefield. I can’t write while listening to music that has words. I can write to soothing classical music—Bach, Mozart—that kind of thing. 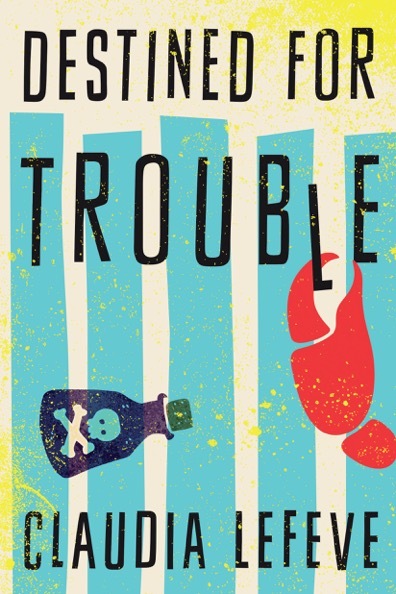 My plots involve murder and skullduggery, and my life is nothing like that—thank goodness. But I do set my plots in places I have lived. Several of my reoccurring characters are inspired by real people, but none are completely like my friends. Everything that has a basis in my life or that of my friends is heavily embroidered with fiction. I bought a book of baby names and use it when I get stumped. Sometimes I use the last names of older characters that are taken from my life, people I liked a lot—like teachers and bosses who were especially nice to me. I see this as an ode to those who have passed on. To date all of my settings have been real. They include Austin Starr’s hometown of Cuero, Texas, plus Houston and Seattle. Also the Canadian cities of Toronto and Vancouver. I also use actual buildings as often as I can. The mortuary in Rainy Day Wome, for example, is one I visited in Seattle many years ago. It is defunct now so I truncated its name and there’s no issue involved in identifying it. In short, I like to put made-up events in real places. Austin Starr won’t stand next to anyone who is very short. She is five feet eleven inches tall and feels like an oaf when she is near someone tiny. She makes an exception when she meets Larissa Klimenko, who is petite at five feet one. 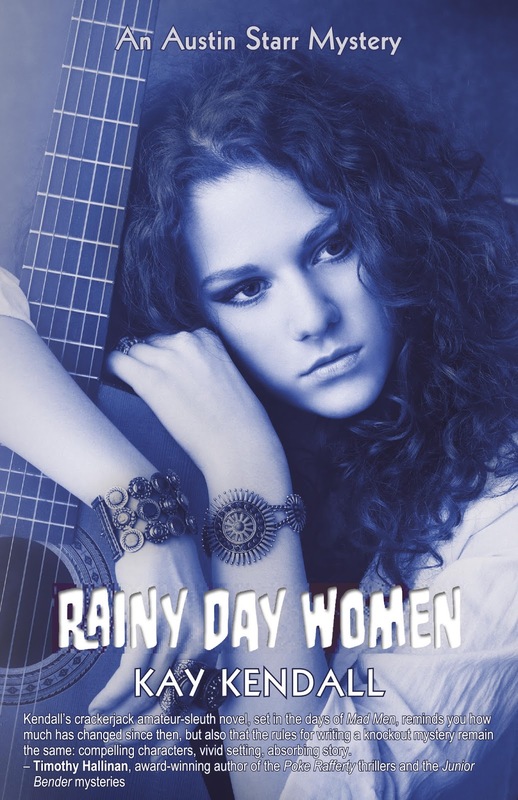 Larissa becomes her dearest friend, and she’s the one who calls for help and sets off the plot in Rainy Day Women. I loathe the color orange. The only time it doesn’t give me fits is at Halloween. I won’t wear anything orange and have nothing in my house that color either. Gone Girl by Gillian Flynn. It has a fiendishly clever plot, was written by a novelist who attended my college (University of Kansas), and sold lots of copies. Besides, Ben Affleck played the male lead in the film version! I wish I had started writing fiction ten years earlier. I don’t like people who play games with others. I would have my Amazon Echo so it could play endless music, my Amazon Kindle so I’d have endless books to read, and my husband, so I could be endlessly happy. When I was briefly a legal secretary, the lawyer I worked for in this big firm hit on me. I was fired because I wasn’t responsive to his advances. I was married and so was he. He said he would help me for free on my custody case, but oh, those strings attached! Jane Eyre by Charlotte Bronte. I don’t often reread books, but that is one I’ve read countless times and have watched every cinematic version of it ever made. I grew up seeing long vistas so mountains make me feel closed in, claustrophobic. I love oceans because I like to watch the surf’s movement and hear its soothing sound. I’ve become a city girl because I enjoy all the cultural opportunities that big cities can offer. But I like to be able to get out to the countryside easily since I grew up on the great plains of Kansas and do love the wide open spaces. I’m writing my third Austin Starr mystery, entitled Tombstone Blues. Austin and her husband David attend his academic conference in Vienna, Austria, where they tangle with deadly Cold War-era spies. This takes place shortly after the conclusion of Rainy Day Women, so he is still angry at her because—Wait! That would be a spoiler. I can’t tell you why he’s so upset with her. My husband Bruce and I have had house rabbits for twenty years. We belong to a rescue organization in Houston called BunnyBuddies.org. We rescue and adopt abandoned rabbits, and these little fur babies are so dear and loving. Like dogs and cats, rabbits have individual personalities and provide great companionship. We also have a spaniel, but we keep the two species separate. Right now we have three bunnies—Jack, Dusty, and Smoky. In 1969, during the week of the Manson murders and Woodstock, the intrepid amateur sleuth, infant in tow, flies across the continent to support her friend Larissa, suspected of murdering women's liberation activists in Seattle and Vancouver. Then her former CIA trainer warns that an old enemy has contracted a hit on her. Her anxious husband demands that she give up her quest and fly back to him. How much should Austin risk when tracking the killer puts her and her baby's life in danger? Lizzi Tremayne is the author a western historical adventure novel, the first in a planned series. She makes her home on the North Island of New Zealand where she’s finally allowed herself to indulge in her passion to write. Learn more about her and her books at her website. It happened on the way to St Cath’s Faire, an SCA reenactment event, last Sunday near Clevedon. It became a massive change in the direction of one of the novels in The Long Trails Quadrilogy, Book 3, called A Sea of Green Unfolding. It came to me while I drove past the Waihou River. Back in the day, say in the day of this saga, which makes it about 1863, it was called the River Thames by Captain Cook. He first landed his longboat up this wild river there on the eastern coast of the North Island of New Zealand. In my Landcruiser, I drove past Cook’s landing site, through Netherton, Ngatea, on and on through the Hauraki Plains. Plains they might be now, but back then, they were a massive Kahakatea swamp. "Progress" led to their being channeled, drained, clear-cut logged and turned into farms, so now all that's left is a massive flat plain of grass and dairy cows, with enough remains of the underlying peat bogs to keep the farmers' fence posts wobbly, no matter what they do about it. Just after the new motorway portion of SH2 began, I took the road less travelled, the old SH2, then up Lyon’s Road, past Paparimu, through Hunua, heading for my event at Clevedon. 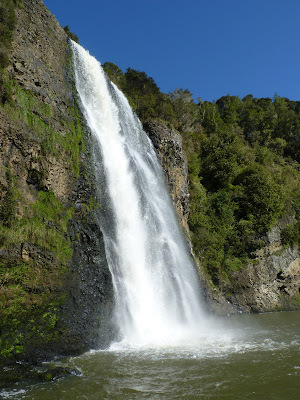 As I passed the sign for Hunua Falls, though, it drew me. I’d never seen the falls, but I promised myself I’d find them on the way home….. because I knew they needed to be in the story… in a big way. Wow… They took my breath away. I found the Hunua Falls, buried deep in what would have been the “vast untrodden Hunuas” in 1863, if it were in a book by Jack Lasenby. They are nothing less than awesome… and as of that day, will play a big part in the climactic scenes of the novel. While I was in Clevedon, I “accidentally” met someone who could answer many of my questions. Out on a walk in the forest there, I met a woman who’s lived there for the past 50 years… and she was… at a meeting of the local historical society the previous night…. Now, I don’t really think there’s such a thing as coincidence anymore… Just the Universe looking after me… And hopefully you, my reader! Seventeen year old Aleksandra, trained in the Cossack arts from infancy by her father, finds herself alone and running to prevent her Pa’s killer from obtaining a secret coveted by the Russian Czar, one which could alter the forces of power in Europe. Disguised as a Pony Express rider in 1860’s Utah Territory, she finds herself in even deeper trouble when she rides full speed into the middle of the Indian Paiute Wars. Her Californio boss Xavier has a strength to match her own, but can they overcome their differences before the ever-increasing odds overtake them? A Long Trail Rolling is the first novel in The Long Trail Quadrilogy of historical adventure sagas following Aleksandra and Xavier from the wilderness of 1860 Utah to Colonial New Zealand. Catherine E. McLean’s short stories have appeared in hardcopy and online anthologies and magazines. 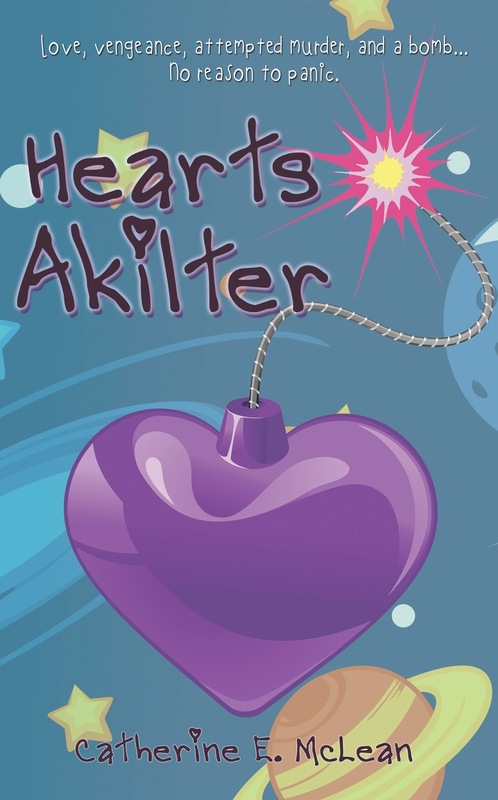 Her latest novel is Hearts Akilter, a lighthearted fantasy/sci-fi romance. Catherine also gives writing workshops, both online and in-person. Learn more about Catherine and her books at her website. Catherine will be giving away a $50 gift card at her release party August 5th. Visit her website for more information. Robots can have heart attacks, too. At least, that is what I had to deal with when Henry, the robot in my forthcoming release, popped into my head saying he was suffering from one. Because believability is a primary factor in writing fiction, I wanted to make certain what the medical robot (Henry) would tell Marlee (who repairs robots) when he described the unusual "pain" he felt. But because Henry is a robot, his "pain" was current that went from his upper left chest and down his left arm. Henry was experiencing a short circuit, which was caused by a bomb that had been placed inside him. But in real life, heart attack symptoms can be similar. 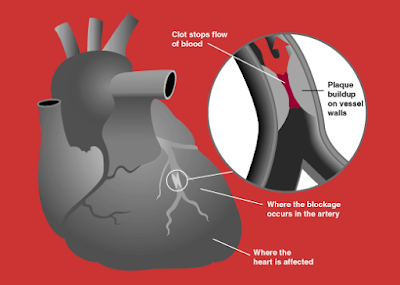 Chest pain: While this seems like a vague term, it is used to cover a variety of feelings of discomfort in the chest area. Sometimes called tightness or heaviness, such symptoms may last for a few minutes and then go away. Other areas of pain: Pain is often reported in the neck, jaw, left shoulder, arms, and even the stomach. Difficulty breathing: Shortness of breath is common when having a heart attack. Sweating: Often referred to as a “cold sweat,” perspiration is a common symptom of a heart attack. Nausea: It is not uncommon to vomit when experiencing a heart attack. Rapid or irregular heart beats and lightheadedness: Due to the stress the heart undergoes when experiencing a heart attack, the heart will jerk into a rapid or irregular heart beat, and the body experiences an overall wave of weakness, which is often described as lightheadedness. Indigestion or heartburn is often confused with a heart attack. Every day, people are rushed to the hospital because they assume or believe they are experiencing a heart attack, and it turns out it’s just abdominal distress. Heart attack symptoms in women may differ. In medical studies, women reported having much more vague feelings when it came to cardiac distress, often including a feeling of fatigue for several days. And like with Henry-the-robot who is dealing with a ticking bomb, the best advice I can give is to reiterate what the experts say: When in doubt, always seek emergency care. Claudia Lefeve was born and raised so far down the Texas Gulf Coast she has to pull out a map to show people it's nowhere near Houston. Now living in Northern Virginia, she is taking a hiatus from a civilian career in law enforcement to write full-time. Learn more about Claudia and her books at her website. There’s been a lot of bad press about the South lately, and say what you will, but you can’t dismiss the undeniable appeal of a region where food is fried, deviled, or stuffed. And just like books with its varied genres, our offerings differ depending on the region: Gulf Coast seafood, Cajun, Creole, soul food, BBQ, Tex-Mex, and a group I like to call the “anythings”: anything hunted that morning, anything chicken fried, and anything slathered with gravy. Southern cuisine equates to passion in our neck of the woods, and it’s a part of our history we’re mighty proud of. Suppertime in the South evokes feelings of togetherness, as well as tradition—family recipes are ingrained in our blood, passed down from generation to generation, and meals are almost always a family affair. Since most of my books take place in Texas, it’s only fitting that food almost always weasels its way in as a character and my personal chef (aka: the hubby) always lends his expertise to bring my characters to life. Whether it’s gumbo or scallop ceviche, his culinary creations have definitely garnered more fans than my books. Another tradition that is slowly going out of fashion, but still maintains a strong foothold in the South, is cocktail hour! In my recent mystery, Destined for Trouble, Aunt Lula can be found toting around ready-made Bloody Marys in a cooler (or her shotgun.) You can’t have a fun, family evening without a little fire in your belly, she’d be happy to tell you, I’m sure. If you’re unfamiliar with Southern cuisine, it’s always best to start out small and not bite off more than you can chew (ha!) There’s a certain finesse that’s required in cooking Southern fare, and most Southern home chefs can whip up a meal from memory (it’s in our blood, remember?) So if you’re a beginner, grab your closest friends and family members, gather ‘round your front porch or back deck, and have a drink on Aunt Lula. In a cocktail shaker filled with ice, combine all other ingredients except for the olives, bacon, and lime. Shake vigorously. Strain the mix into the glass. Garnish with olives, bacon, and lime slice. 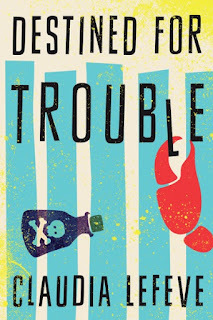 But when the owner of the local crab shack is murdered at Jules’s welcome-home party, she is forced to scrap her rest-and-relaxation plans. Now her best friend, Abby Lee, is the prime suspect, and her high school sweetheart, Deputy Chief Justin Harper, is working the case. Even though Jules knows she shouldn’t, she just can’t keep herself from getting involved in the investigation—and entangled with handsome Assistant District Attorney Hartley Crawford. While an old flame threatens to rekindle and a new one sparks, Jules must find a killer and prove her friend’s innocence. But will she put two and two together before trouble catches up with her? When I visited The Vatican many years ago, I was, of course, in awe of the Sistine Chapel, but what fascinating me the most was the Vatican library with its vast collection of illuminated manuscripts. 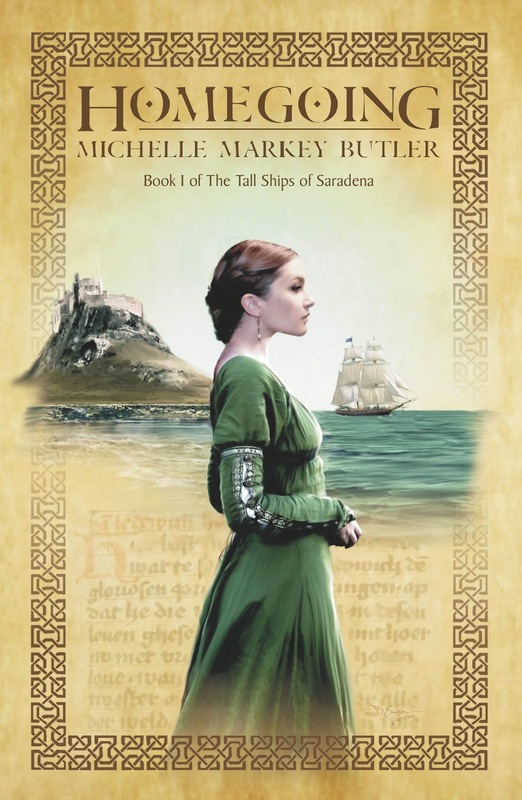 Our guest, Michelle Markey Butler, knows all about illuminated manuscripts, and she's here today to share some of that knowledge with our readers. Michelle Markey Butler is a lecturer at the University of Maryland College Park, where she teaches medieval literature and Tolkien. She publishes on medieval and early modern drama, and will someday finish that book about the transition from direct address to soliloquy. Her published fiction includes SF/F stories and her debut novel, Homegoing. Learn more about Michelle and her writing at her website. 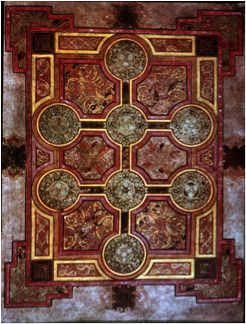 The Book of Kells is arguably the most famous book in the world. We can’t help but wonder how 9th century monks managed to make it when it’s difficult and expensive to produce good quality reproductions of it with 21st century technology. So how DID those 9th century monks produce this marvelous book? The Book of Kells was made waaaayy before printing came to Europe—half a millennium before. Papermaking hadn’t made it to Europe yet, either. Quills and the penknife are probably the easiest to acquire. Feathers are not too difficult to come by, and the work of hardening and sharpening the tip into a quill is not arduous. Parchment and ink are a different story. They’re the result of some serious work. The good news: books written on parchment last hundreds of years. Longer than microfilm facsimiles. Longer than paper facsimiles. 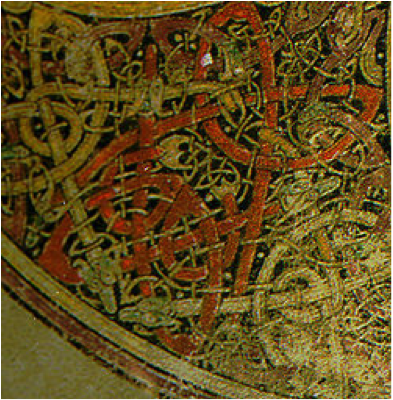 The Book of Kells is over a thousand years old. 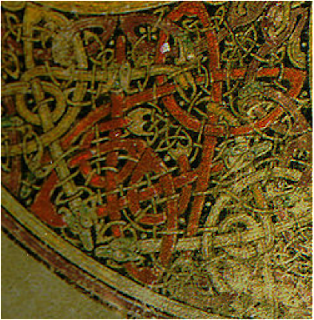 To paraphrase Yoda, when we are a thousand years old, we won’t look nearly as good as the Book of Kells. Assuming, that is, the library doesn’t catch on fire. The edges of the Beowulf manuscript are charred from a fire in 1731. Let that soak in for a moment. Beowulf almost went up in smoke. Sadly, the manuscript of another Old English poem, The Battle of Maldon, did perish in that fire. We know this excellent poem now only from a transcription made in 1724. Fire wasn’t the only danger to medieval books. 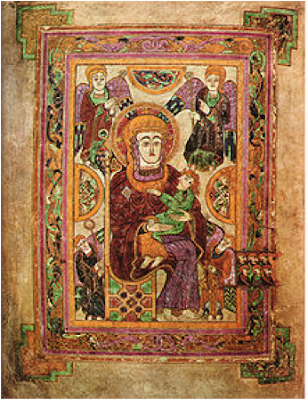 We almost lost the Book of Kells, too, due to theft. 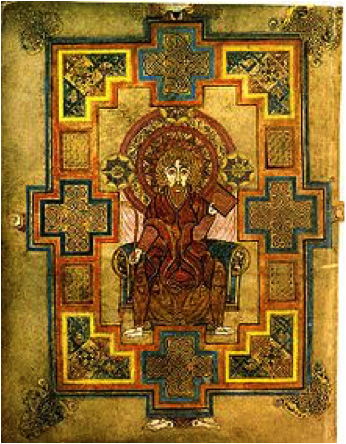 In 1007, the book was stolen from the abbey at Kells. It was found, mercifully, a few months later, but without its golden-and-bejeweled cover. Back to the bad news: parchment making is laborious and stinky. (Here’s a video about the process.) Parchment also requires an animal’s death. Books require lots of animals’ deaths. 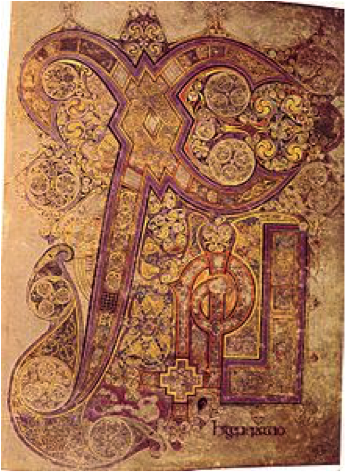 Roughly 600 cows were needed to provide the parchment for the Book of Kells. Parchment was not the only costly and time-consuming material you needed to make a medieval book. Lapis Lazuli, the material that provides the striking blue ink in illuminated manuscripts, had to be brought from Afghanistan. It was wildly expensive and highly prized—as much if not more than gold. By the way, the scribe who would write the words and the illuminator who painted the gorgeous images were usually different people. Specialization is not really a modern invention! If you want to know more about how medieval books like the Book of Kells were made, the Getty Library has a nice video. I doubt your neighbors would appreciate you trying to make a medieval book from scratch, given the high-level stenchiness of parchment making. But if you want to try your hand at medieval calligraphy, The Historical Source Book for Scribes provides step-by-step instruction. If you’d like to try copying a page from the Book of Kells, you want the “Insular Half-Uncial” chapter. There also are excellent children’s books about medieval bookmaking. The Ink Garden of Brother Theophane and Marguerite Makes a Book are particularly good ones. Homegoing is medieval-inspired historical fantasy, the plot of which revolves around bookmaking, archives, and the dangers of not keeping old books. A major plot point involves the rare blue ink mentioned above. Disowned. Disgraced. Discarded. I had been Princess of Bruster, then Queen of Ferrant. Now I was neither. I built a new life, in a new land. The clerk of my adopted lord. I wanted to copy books and build his library. Quiet and unremarked amongst parchment and ink. Then the great ship came. It delivered a letter - to a land where almost no one could read. By the time the letter came to my hands, the ship had departed. We had no way to tell them we had never heard of them. They gave us one year, but how could we meet their demands when we did not know what they meant? War was coming. Unless I could prevent it.